H.D. Rombach and M. Verlage, Directions in Software Process Research. V.R. Basili, The Experience Factory and Its Relationship to Other Quality Approaches. J.A. Rader, CASE Adoption: A Process, Not an Event. D.J. Carney and A.W. Brown, On the Necessary Conditions for the Composition of Integrated Software Engineering Environments. D. Hamlet, Software Quality, Software Process, and Software Testing. T.M. Conte and W.-m.W. Hwu, Advances in Benchmarking Techniques: New Standards and Quantitative Metrics. C. Pu, A. Leff, and S.-W.F. Chen, An Evolutionary Path for Transaction Processing Systems. Chapter References. Author Index. Subject Index. 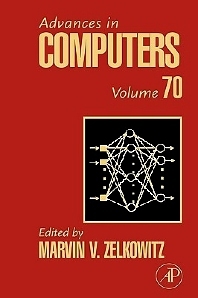 Contents of Volumes in This Series. Researchers and graduate students in computer science.